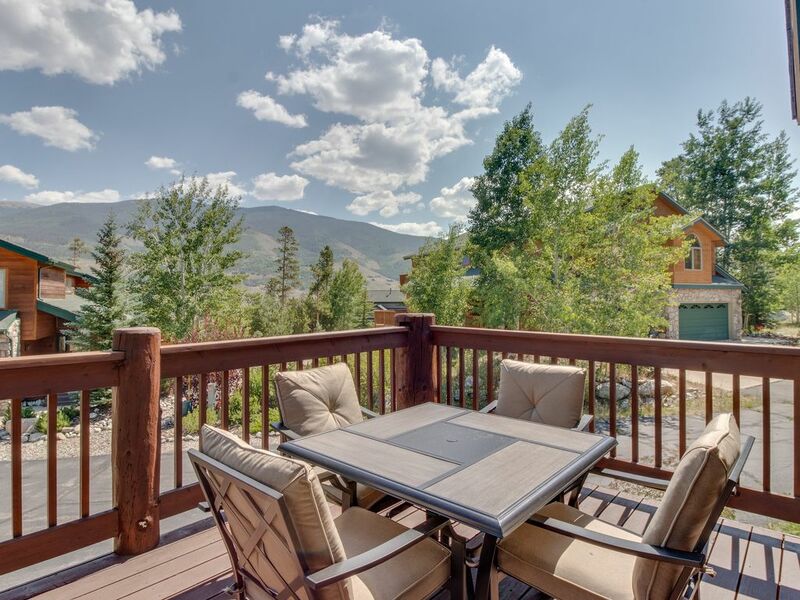 Your next ski adventure awaits at this lovely Silverthorne townhome. With vaulted ceilings and an updated kitchen, this cozy mountain retreat is perfect for multiple families. Located on a quiet cul-de-sac, this home boasts a peaceful and relaxing atmosphere, including your very own wet bar, an indulgent soaking tub with a built-in bathroom fireplace, and a balcony that's perfect for stargazing. Just a few miles from Dillon Reservoir, this home makes it easy to enjoy water activities like boating, jet skiing, kayaking, and fishing. In the winter, you'll be just a short drive from the ski resorts of Keystone (10 miles), Breckenridge (17 miles), and Copper Mountain (14 miles). Parking Notes: No RV's/Campers, trailers of any kind.